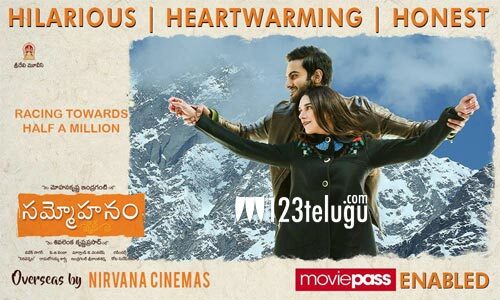 Sammohanam is carrying a good talk all over its areas of release. But the film is doing well only in the A centers and the film will be tested heavily in its second week. The film which saw a pre-release business of 8 to 9 crores, has crossed the 5 crore share mark already. It needs to make another four crores to get into the profit zone. As of now, things look good as the film has crossed the half million mark in the US. The makers are going all out with the promotions and we need to see how the film fares in the coming days.